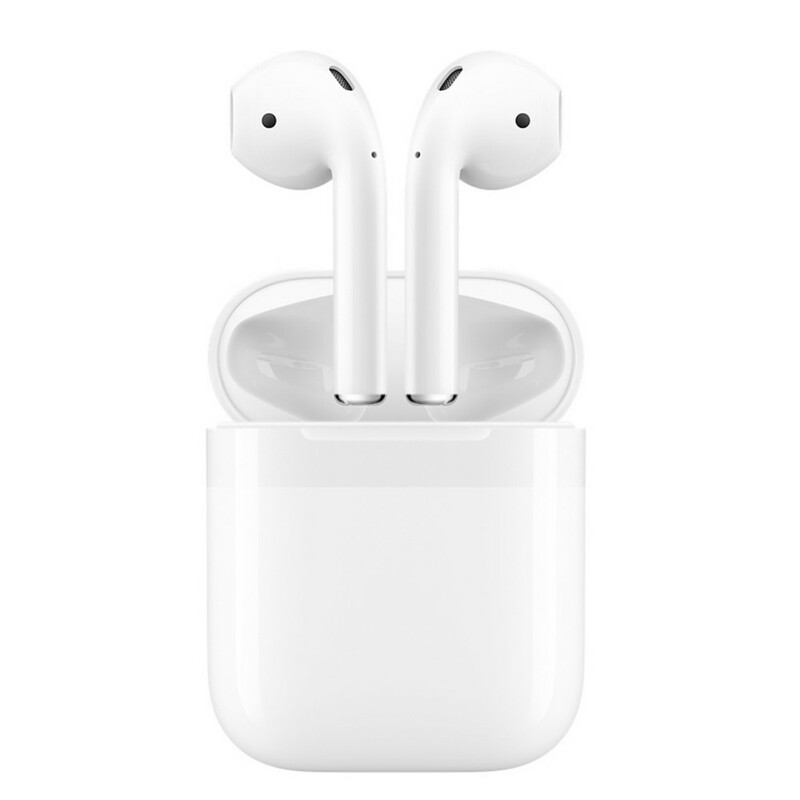 * Pull your AirPods out of the charging case, and they instantly turn on and connect to your iPhone, Apple Watch, iPad, or Mac. * Audio automatically plays as soon as you put them in your ears and pauses when you take them out. * To adjust the volume, change the song, make a call, or even get directions, just double-tap to activate Siri. * Whether you're using both AirPods or just one, the W1 chip automatically routes the audio and engages the microphone. * When you're on a call or talking to Siri, an additional accelerometer works with beamforming microphones to filter out background noise and focus on the sound of your voice. * Because the ultralow-power W1 chip manages battery life so well, AirPods deliver an industry-leading 5 hours of listening time on one charge. * Charging case holds multiple additional charges for more than 24 hours of listening time. One-tap setup for all your Apple devices. Quick access to Siri with a double-tap. More than 24-hour battery life with Charging Case. Charges quickly in the case. Rich, high-quality audio and voice. Great. Came on time. No problems. Well the sound quality is good and they are comfortable to the ears but they are pricey. Really good set of headphones I love them they work well great bass. Perfect! Using it right now. Nice headphones for a good price. Very durable! Love this item! Great product, the original Apple headphones. Works perfectly! I enjoy that.